I am privileged to offer repair service on virtually all makes and models of fretted musical instruments on-site at McKenzie River Music, located in Eugene, Oregon. This includes acoustic and electric guitars, basses, mandolins, banjos, dulcimers and other stringed instruments. I offer services ranging through routine adjustments for action and intonation, repairing wear and tear problems, fixing damage from accidents, and customizing your instrument to suit your playing style. One of my specialties is repair and restoration of vintage guitars and other fretted instruments. From a neck reset on your pre-war Martin acoustic guitar to a re-fret on your 1950s Fender electric bass, rest assured that your prized instrument is in the hands of an experienced luthier. I am also pleased to be able to offer factory-authorized warranty service on Martin, Gibson, Fender, Taylor, Collings, Ovation, and Takamine instruments. Often, I can arrange warranty work on other brands as well. Charlie is factory-authorized for warranty service on several major instrument brands. My experience in the music business spans some thirty-six years. After working in a music store in Ann Arbor, Michigan as a salesman and repair estimator, I was an apprentice to renowned luthier Dan Erlewine from 1976 until 1980 when I moved to Eugene. I've been affiliated with McKenzie River Music since 1982. 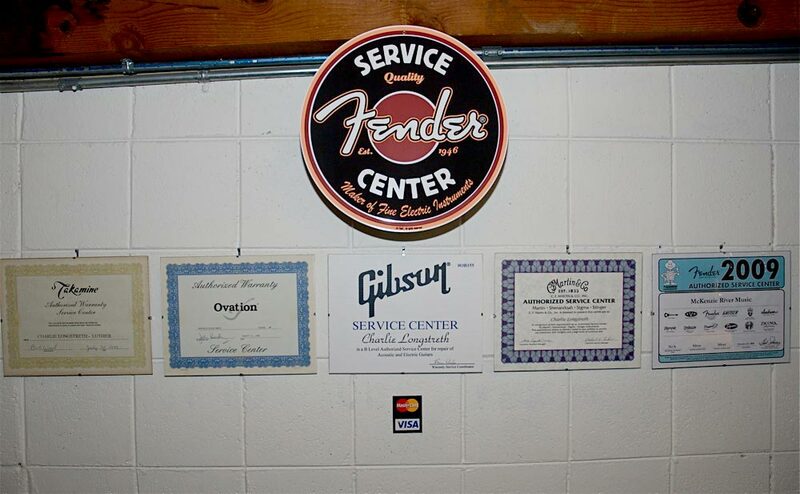 I strive to provide the highest quality service possible on all levels of instrument grades. 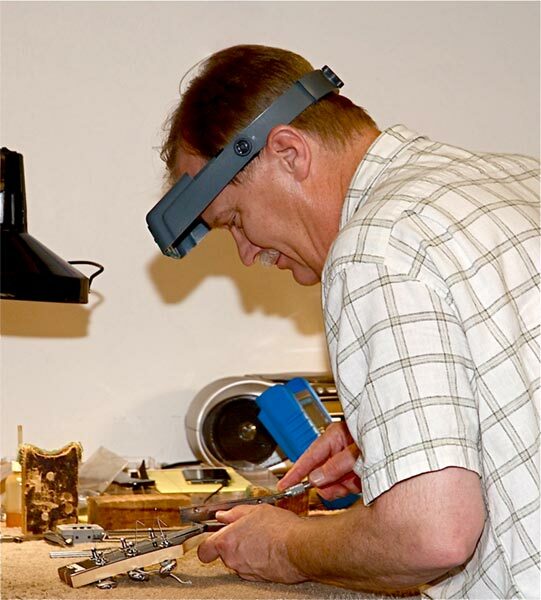 One hallmark of my approach to repair is to offer free estimates where we can spend some time discussing your particular instrument with no obligations involved. There are many personal preference issues with fretted instruments that need to be decided upon prior to doing any job. This helps the instrument to function as you need rather than taking a cookie-cutter, one-size-fits-all approach. I am on-site full-time at McKenzie River Music. We are open from 11:00 am to 6:00 pm Monday-Friday and 11:00 am to 5:00 pm on Saturday. I usually take Thursdays off and we are closed on Sundays and major holidays. No appointment is necessary as I take people on a walk-in basis. If you just show up I'll probably be in but please feel free to call before you come in if you wish. You can reach me through my cell phone at 541-914-4231 or through the store at 541-343-9482. Again, it is my privilege and pleasure to be able to offer this comprehensive service in association with McKenzie River Music.